Summer gets the reputation for blazing heat but there’s nothing quite like summer evenings, when the sun has set and things cool down enough for you to enjoy some ice cream outside but not enough so that’d you’d be reaching for a blanket. You may even be hitting the movies to take advantage of their air conditioning and a little escapism. Why not both? Why not enjoy a nice snack outside and go see a movie at the same time? Once upon a time in 1933, eager motorists park their automobiles on the grounds of Park-In Theaters, the first-ever drive-in movie theater, right there in Crescent Boulevard in Camden, New Jersey. Eventually they became known as “drive-in” theaters. And from what we gather in history, they began as the brainchild of Richard Hollingshead. He was an avid movie fan and positioned as a sales manager at his father’s company, Whiz Auto Products, in Camden. The legend has it that Hollingshead was inspired by his mother’s discomfort with the movie theaters and seats of the era. So he came up with the idea of an open-air theater. Here, instead of seating in an auditorium, movie goers would watch the screen in the comfort of their own automobiles. The idea did not come fully formed. Hollingshead actually experimented in the driveway of his own house with different projection and sound techniques. In one early phase he mounted a 1928 Kodak projector on the hood of his car while pinning a screen to some trees. A radio was put behind the screen for sound. Eventually he had to test for ways to guard against rain and other inclement weather. And finally he came up with a manageable spacing arrangement for a number of cars so that all would have a complete view of the screen. For his efforts, Hollingshead was given a patent for the concept in May of 1933. Then he finally opened Park-In Theaters, Inc. less than a month later infesting $30,000 of his own money. It was advertised in the papers of his time as family-friendly entertainment and tickets cost 25 cents per car and 25 cents per person, with few families of the time ever paying more than one dollar (can you imagine?). Eventually Hollingshead’s idea took off. When Hollingshead’s patent expired in 1949, drive-in theaters began popping up all over the country. The largest in history was the All-Weather Drive-In of Copiague, New York, which featured parking space for 2,500 cars, included a kid’s playground and a full service restaurant, all on a 28-acre lot. For most of their early years, due to businesses wishing to draw in large crowds while avoiding overpaying distributors, the Drive-in theaters showed mostly B-movies. Few of those early drive-in theaters featured the same movies that played in regular theaters. They were due for upgrades over time. 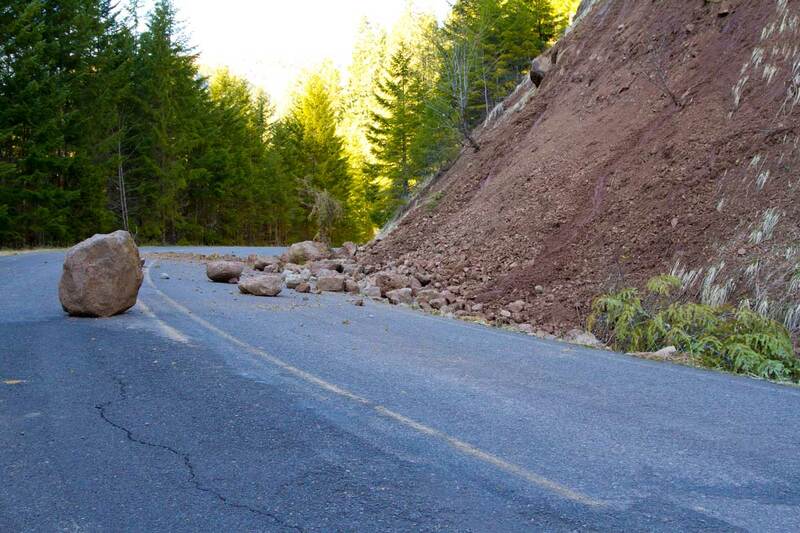 A common issue with early drive-in theaters was poor sound quality. Initially, Hollingshead had mounted three speakers manufactured by RCA Victor near the screen and those saw a few upgrades. 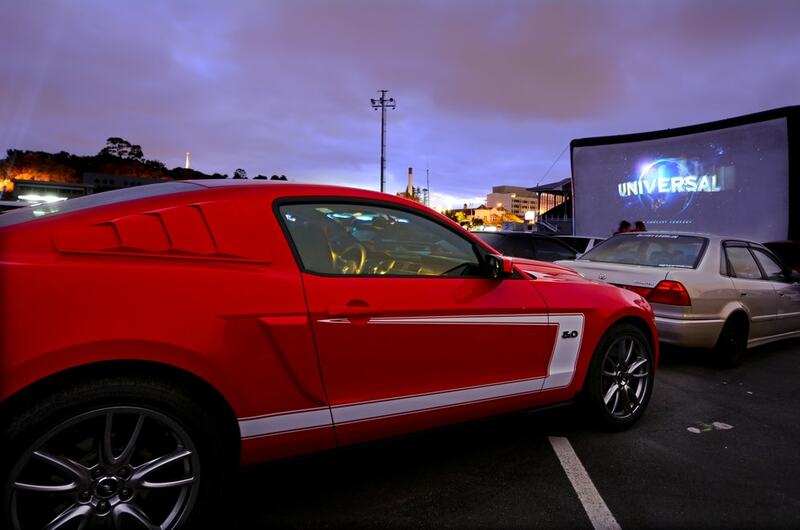 However it was not until later technology –made it possible for each car’s to play the movie’s soundtrack through its FM radio. 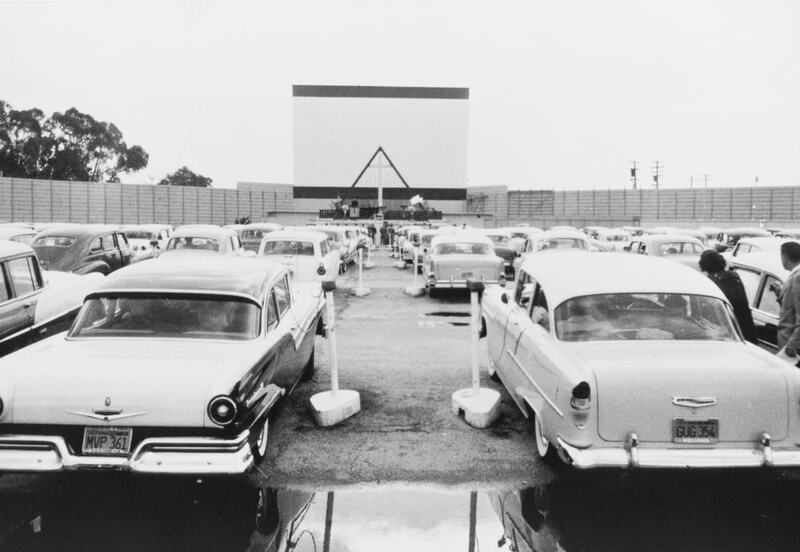 Drive-in theaters rose in popularity after World War II and reached its heyday in the late 1950s to mid-60s, with a recorded 5,000 theaters across the country. They became as ubiquitous with American culture as baseball games. It became a typical weekend destination not just for families but also young couples who wanted a little privacy for well…you get the idea. Over time, however, the rising real estate prices in the suburbs along with the growing numbers of walk-in theaters & multiplexes started a shift in the market. The rise of home media and video rentals completely changed how movies were paid for and consumed as well. You have to go a ways out from most major cities to get to the nearest dive in, that’s almost like a road trip in and of itself. Most operate for evening showings almost exclusively since that’s when the projection looks the best. The quality of the few remaining drive-in theaters has gone up just as many movie theater chains have aimed to make the movie-going experience an “EVENT” with full service bars, reserved leather seating and more advanced sound and picture systems. In turn drive-ins have become one stop evening camping/tailgating party destinations. 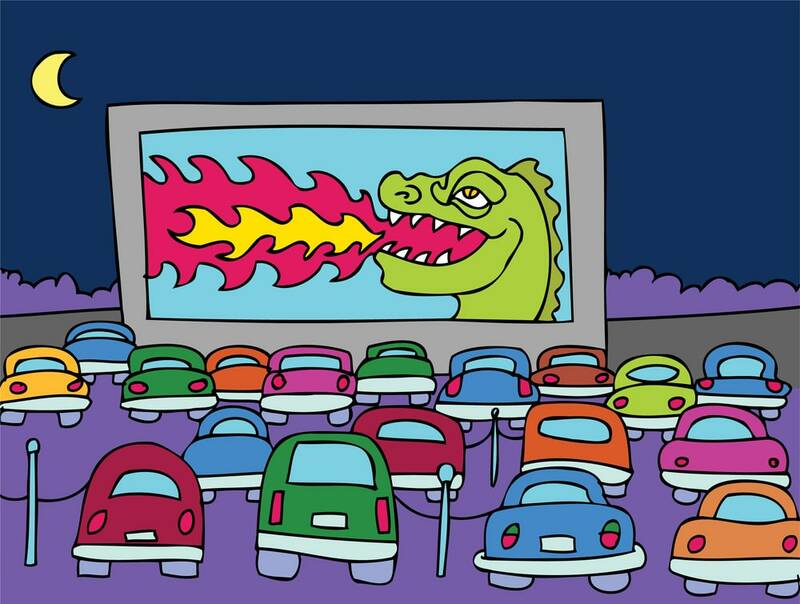 To find one near you, hop on over to http://drive-ins.com/ and remember: park safely, turn off your engine and lights and enjoy the show!